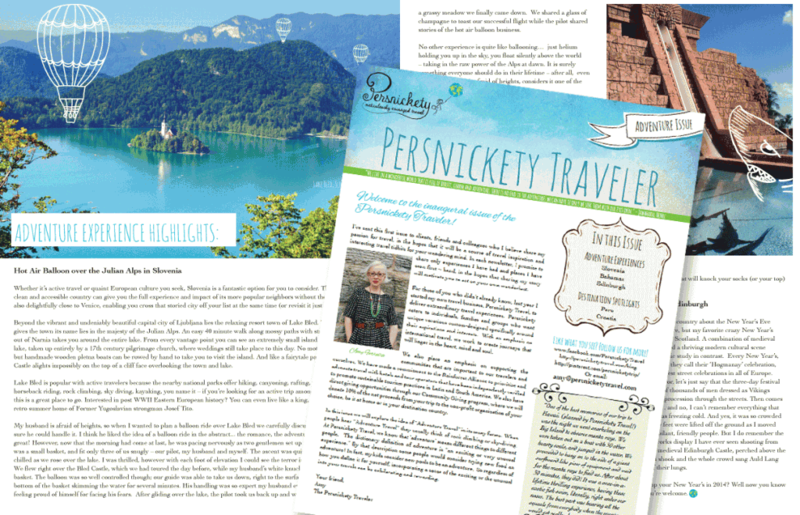 I was tasked with bringing the specialty travel website Persnickety Travel to life in print form. 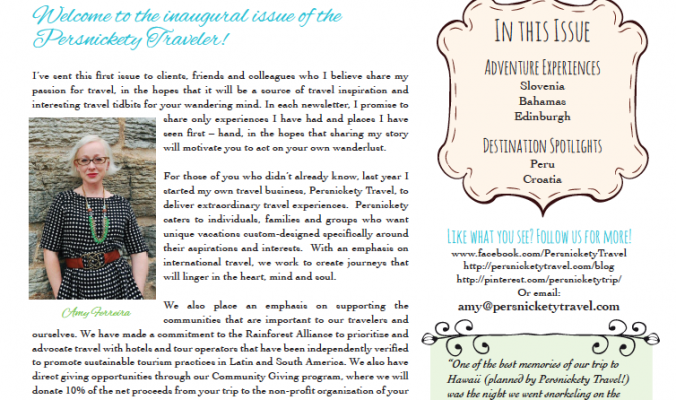 This was a really fun project and allowed me to dive into a more whimsical type of design. 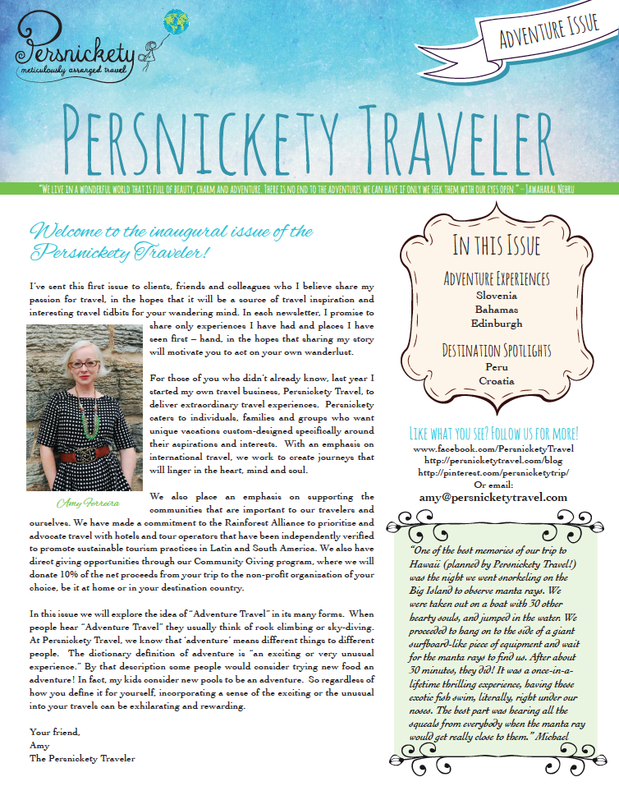 Click through to Persnickety’s website for the full version of the newsletter!